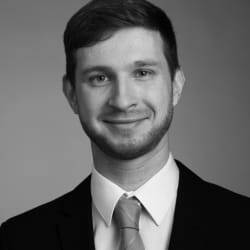 Lukas Maly is an associate in Herbert Smith Freehills' Brussels office dealing with all areas of EU and UK competition law, including merger control and antitrust, as well as with international trade law matters. In addition, he has experience with advising on public procurement law which he gained during his six months secondment to Transport for London. Lukas has particular expertise in the TMT, transport and financial services sectors. Lukas graduated from the University of Oxford with a Master's degree in law (BCL), having previously studied law at University College London and at Aix-Marseille Université. He qualified as a solicitor in 2017.